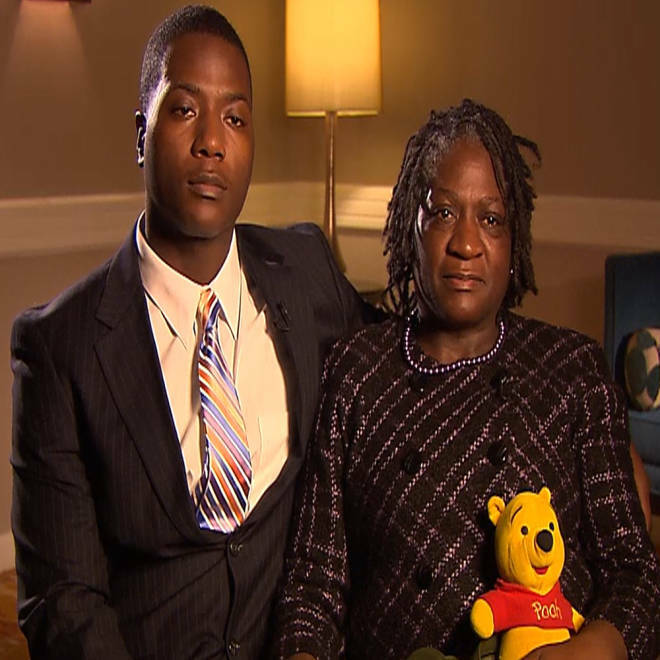 Jonathon Ferrell's brother, Willie, and his mother, Georgia. CHARLOTTE, N.C. — The family of an unarmed North Carolina man killed by 10 police bullets after he crashed his car and staggered to a nearby house for help has filed a wrongful-death lawsuit. The family of Jonathon Ferrell said autopsy results, showing a downward trajectory by most of the bullets, suggest that Ferrell was either on his knees or already on the ground when Officer Randall Kerrick fired most of his shots. They say Ferrell never posed a threat to Kerrick or the two officers who showed up with him after a woman called 911. The suit, filed Monday in North Carolina Superior Court, names the officer, the city, the county and Charlotte-Mecklenburg Police Chief Rodney Monroe as defendants. It seeks monetary damages, but Chestnut said another goal was to use subpoena power to force police to turn over records that have been withheld from the family. That includes police dash-cam video of the Sept. 14 confrontation, which has not been made public. 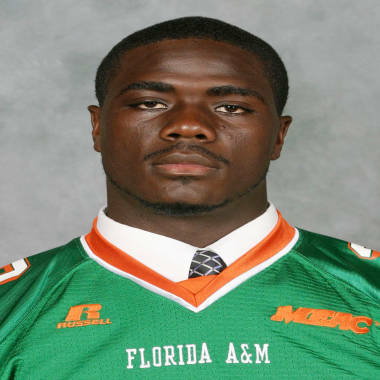 Ferrell, who was 24, played football for Florida A&M University, had recently moved to Charlotte and was engaged. His family has said he worked two jobs to put himself through school. According to his family, Ferrell had dropped off a coworker and was driving home at about 2 a.m. when he veered off the road and crashed his car so badly that he had to kick out the rear window to escape. The lawsuit says he walked a half-mile up a hill, toward the nearest houses, to seek help, and knocked on a door. Three officers went to the house. What happened next is not clear. Police have said that Ferrell ran toward the officers. One fired a Taser, but it failed to connect. Kerrick fired 12 bullets and hit Ferrell with 10 of them. Within a day of the shooting, Charlotte police said they believed it had been excessive and charged Kerrick with voluntary manslaughter. State prosecutors are handling the case, as is customary when police are charged. The case goes to a grand jury later this month. 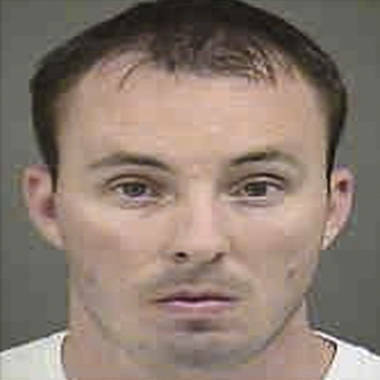 Kerrick, 28, who joined the Charlotte force in 2011, is on unpaid leave. One of his lawyers, Michael Greene, declined comment on the wrongful-death suit. He also declined an interview on the criminal case against Kerrick, though he has said that the officer’s actions were justified. Officer Randall Kerrick in an undated photo. Toxicology reports showed that Ferrell had alcohol in his system, but that his blood-alcohol level was below the legal limit for driving. During the confrontation, the suit says, Ferrell never behaved in a way that met the Charlotte police standard of “aggravated active aggression” required to justify the use of force. The suit accuses the officer of a series of mistakes before he fired. Ferrell’s relatives and his fiancée, Caché Heidel, said they have forgiven the officer. “It’s something else that God has put us through and will make us stronger,” said Willie Ferrell, Jonathon’s brother. But they said the pace of the investigation has been agonizing. Georgia Ferrell said she hopes the civil suit might push the criminal case forward. In an interview with NBC News on Monday, she clutched a Winnie the Pooh toy that she said her son treasured all his life, and she talked about what she missed. Erin McClam reported from New York.